The dot near the top is us. 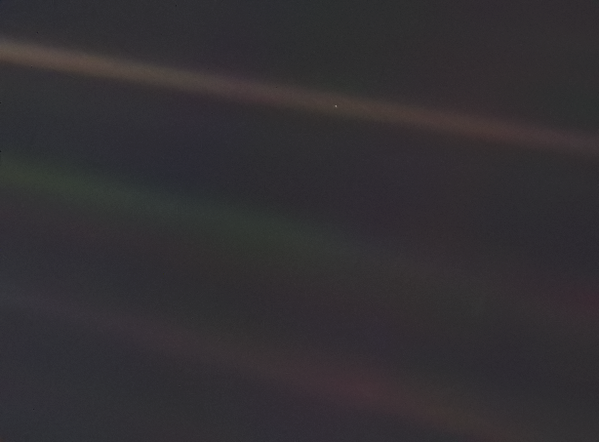 The most distant photo from earth ever taken, by the Voyager 1 space probe, from 6bn km away. Carl Sagan the US astronomer said some pretty illuminating things about it here. Before you go out and decimate yourself over NYE try and read it.